Here you can choose most appropriate pathway to get Cydia on iOS 8.4, 8.3, 8.2 & 8.1.3 running iPhone, iPad or iPod devices. You know, Cydia is an amazing software you should install on your Apple iDevice. Combination of the latest iOS 8 versions with Cydia can make your device awesome with unlimited uncommon. Update : iOS 8.4.1 jailbreak has been released! Here’s how to download Cydia for iOS 8.4.1 with EtasonJB untethered jailbreak ? How to install Cydia on iOS 8.1.3 – 8.4 devices? The one and only method, Jailbreaking is available to get Cydia for your iOS 8.4 – 8.1.3 device also. You should remember, without jailbreak No Cydia. No need to worry about jailbreak not harm your device. Only thing you have to select most suited tools & follow proper instructions from trusted source. There are two jailbreak tools available for install Cydia on your iOS 8.4 device. Both of these tools can jailbreak your iPhone, iPad or iPod with install Cydia. But, here we recommend you to use TaiG jailbreak tool for the task because, it is very updated & famous in jailbreak community. 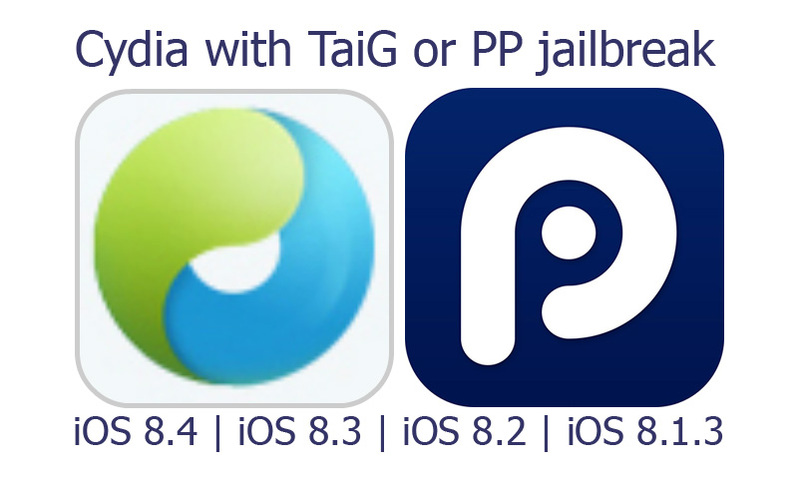 However, if you are failed with TaiG, you can try PP jailbreak for get Cydia your device. We have made step-by-step jailbreak guide for how to install Cydia with both tools. Just follow instructions are given, it will direct you to success. How to install Cydia for iOS 8.4 – 8.1.3 using TaiG jailbreak? 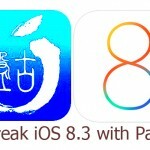 How to install Cydia for iOS 8.4 – 8.1.3 using PP jailbreak? 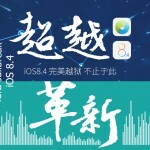 After iOS 8.4.1 release, How to save Cydia Jailbreak for long-lasting ? How to install Cydia for iOS 8.4 – 8.1.3 with TaiG jailbreak? Pangu jailbreak iOS 8.3 ready! – How to prepare idevice for Cydia? 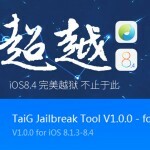 TaiG 2.2.0 released for jailbreak iOS 8.4 ! 3. Run jailbreak program on computer. That’s all. It will be automatically installed Cydia on your device..
No, You need computer to jailbreak your devices. Pls use TaiG to jailbreak your device. If your device is with iOS 8.1.3 to 8.4, Please follow our guides and use TaiG to jailbreak and install Cydia. But iOS 8.4.1 devices unable to jailbreak this moment. anybody can advise best hidden cam on apps. How to download the jailbreak tool in my computer ? Visit bellow link by your computer. Select your device’s iOS version there. The download link is available in the article. Click on it to download..
PP: gets stuck on step 2/8, preparing the environment. Claims “error in preparing environment. Reboot device and try again.” I do but same mistake. TaiG: gets stuck on 10%, claiming there is another iDevice connected. Also throws error -1007 meaning “activate the ipad”. But activation means turning on Find my Iphone and the method demands to de-activate Find My Iphone. Confusing dead end. I have ios 8.4.1 how do i quit a put ios 8.4??? You are late. Now you not allow to downgrade to iOS 8.4 cause Apple stopped signing iOS 8.4 few hours ago. Hey , i was using cydia in my iphone , but now i can find mi cydia icone in my iphone , because i remove the big boss source i didnt know , what i do for back my cydia please ?? Open Safari Type cydia:// and browse — > Cydia will open. I cant do it , can i do it in my phone or i just can in computer!? Cydia install Without a computer is impossible.. If you want Cydia, you have to use a computer. Yes your device with iOS 8.1.3-8.4, Pls use TaiG to JB your device. TaiG and PP working properly, What is the error message ? My phone is unlocked. Can I download Cydia?